Being associated to the prestigious Symbiosis University, SIIB has a legacy of providing state of the art infrastructure to all its students. But B-school programs are not always about management education. Yes! The curriculum has to be a fine tuning between academics and co-curricular activities to ensure. 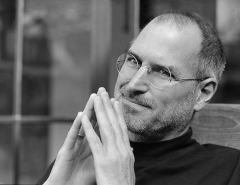 In line with this tradition, SIIB has been a patron of innovative learning techniques that help to bring out the best in a student. 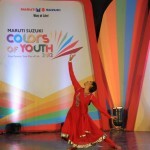 Recently, several students from SIIB participated in the Maruti Suzuki Colors of the Youth 2012 contest and four of them have also managed to make it to the final round. 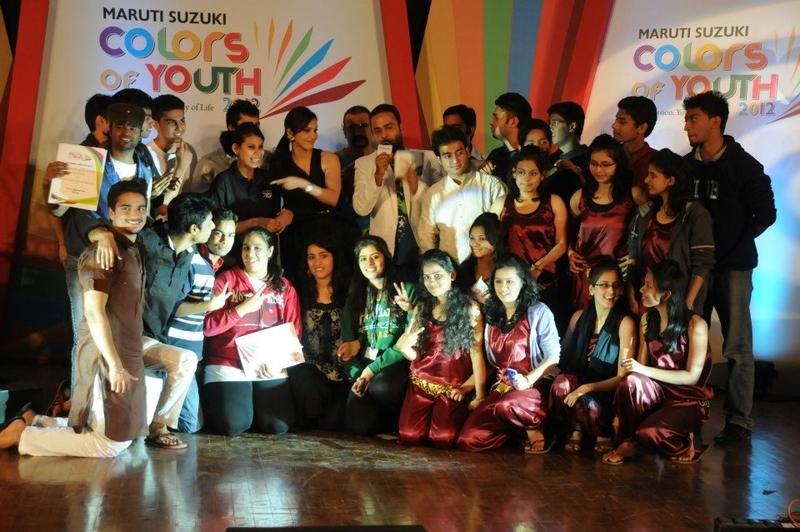 ‘Colors of youth’ is a festival that invites students from across B-schools to compete in events like mimicry, music, singing, etc. Participating in events like these helps students get rid of their academic stress and go back to the routine with a rejuvenated mind. This year’s festival saw active participation of more than 30 colleges across the state as students from all over came to the SIIB campus. Amidst the hundreds of participants only a select few have got a chance to battle it out in the grand finale of the festival and SIIB has four of its students from different programs amongst these selected few in singing, dancing and painting categories. These four will now represent SIIB at national level. At SIIB, we are extremely proud of such achievements by our students. SIIB has always believed in providing such innovative learning methodologies that contribute towards creating a holistic environment to maximize the learning of students thereby bringing out the true talent in the students. Just recently, the institute has also officially launched the website for one of its biggest festival-Ignisense that will be hosted for two days starting 6th of January 2013 at the SIIB campus. 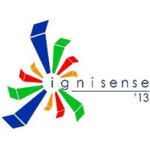 Ignisense is one of the biggest events at SIIB and will make sure that the institute starts the New Year with a bang. You can get all the latest updates at the click of a button once you join us on the Ignisense page! In fact, the New Year is all set to start with a series of celebration planned throughout the first week of January. The celebrations start with the annual alumni meet titled Anusmruti being hosted on 5th January at the SIIB campus and will add to the tempo of students gearing up to host one of the biggest management festivals in the country, Ignisense-2013, in the campus. SIIB’s vision for development has always been supported by its principle of providing a holistic learning environment for students. Through these festivals, SIIB gives its students a unique opportunity to step out of the management classrooms and experience real time situation by organizing and managing the events entirely.